These royalty upgrades are basically “cost-of-living” raises, based on slight increases in inflation in the U.S. Mechanical royalties are now being raised by moderate increments every two years. The previous royalty rate for 2004-5 was 8.5 cents/1.65 cents per minute. Writers and publishers should be fairly pleased with these rate increases, because for most of the past century there were little or no increases at all. From 1909 (when mechanical royalties were first established) all the way to 1976, the rate was just two cents, which meant writers and publishers, splitting the royalties equally, received just one cent per unit sold. When publishers used the expression, “this is a business of pennies,” this is what they were referring to. In retrospect, it’s hard to believe that the royalty rate could stay exactly the same from 1909 to 1976. It was therefore a huge breakthrough, when Congress set up the Copyright Act of 1976 and provided for the establishment of the Copyright Royalty Tribunal, a group which determined that mechanical rates should be raised to 2.75 cents/0.5 cents per minute. This new rate took effect on January 1, 1978. Another breakthrough occurred in 1987, when the Music Publishers Association, the Songwriters Guild Of America and the Recording Industry Association of America filed a joint proposal with the Copyright Royalty Tribunal, assuring that royalty rates would be increased every two years, based on U.S. inflation data. The next royalty increase came on January 1, 1988, at 5.25 cents/1 cent per minute. All of these increases have finally given writers and publishers a more equitable share of royalty profits. However, record labels, which are always looking to protect their own profits, have often made it difficult for writers and publishers to collect their full mechanical shares. Labels have instituted “controlled composition clauses” in record contracts, which means labels shall pay only 75% of the full royalty rate, especially to new artists. Labels claim that because they invest so much money to sign, record and promote a new artist’s album, they should only be obligated to pay 75% of mechanical royalties, at least until the artist’s album has achieved gold or platinum sales status. 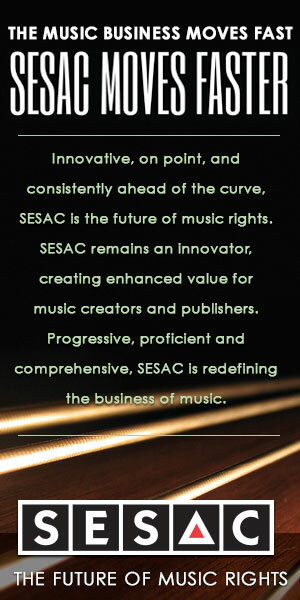 Most new artists have no choice but to accept this initial rate reduction, since it has become an industry standard. As a result, if you are a songwriter or publisher who has just placed a song on a new artist’s album, this artist will probably ask you to accept a 75% royalty rate also. This is because if you insist on receiving your full, 100% share instead of 75%, the 25% difference will be deducted from the artist’s royalties. Subsequently, the artist may threaten to delete your song from the album, because you refused to cooperate and accept the 75% rate. Fortunately, in some cases the severity of this rate clause can be lessened. Some new artists with bargaining leverage can successfully negotiate an 85% rate instead of 75%. Also, artists who agree to sign a publishing deal with their record label can often negotiate for the full, 100% rate. In conclusion, the increases in the mechanical royalty rate have definitely been helpful to writers and publishers, but you still have to fight for every “penny” you receive in this industry.